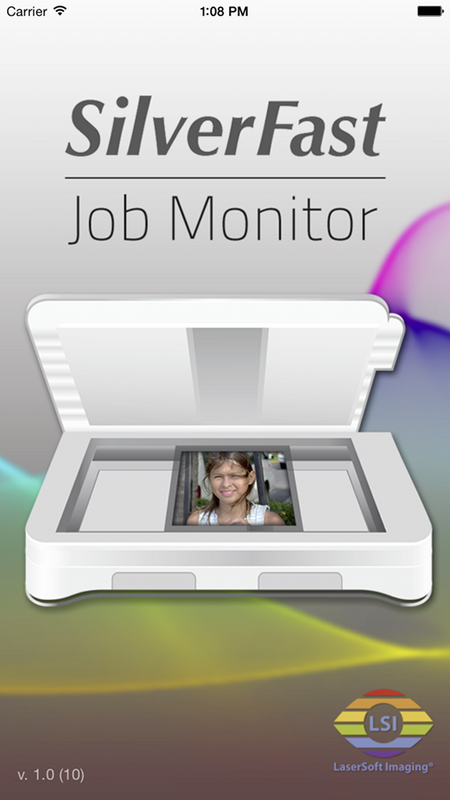 This App is an iOS monitor for keeping track of scanning and image processing jobs performed by main application SilverFast 8. 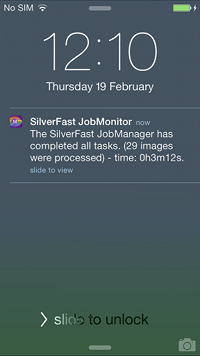 The App serves as a status monitor for the SilverFast JobManager. For scanning or processing large image files in SilverFast 8, the new JobMonitor App will comfortably display the progress of these scans or image optimization jobs on your iPhone, iPad or iPod using a Wi-Fi connection. 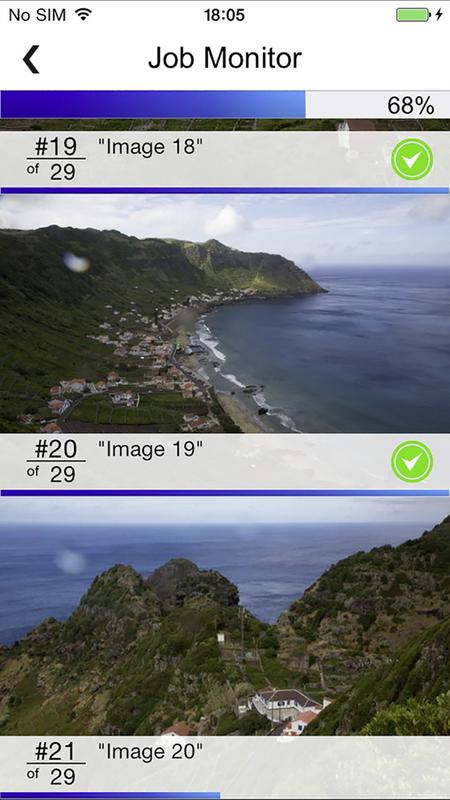 You will find a preview image and a progress bar for every single image item enlisted on your current job queue. 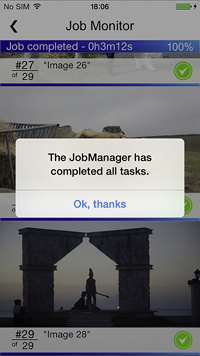 If a Wi-Fi connection is not available, a Push Notification will notify you once your scanner has finished its current job. 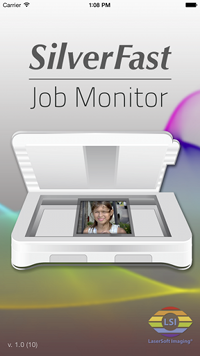 * Notes: The JobMonitor App connects to Mac and Windows installations of SilverFast 8. Bonjour (Apple) has to be installed on the system. 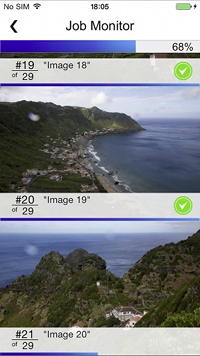 In order to send Push Notifications to your iOS device, ports 2195, 2196 and 5223 are required to allow inbound and outbound TCP packets.